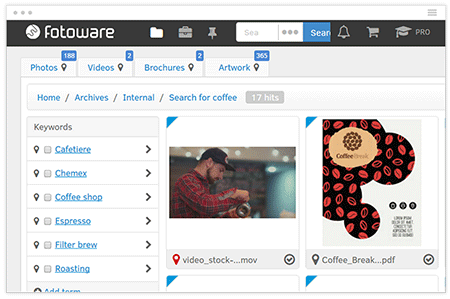 Everyone can find, share and reuse their images, graphics and videos more efficiently and visually with FotoWare’s media bank. 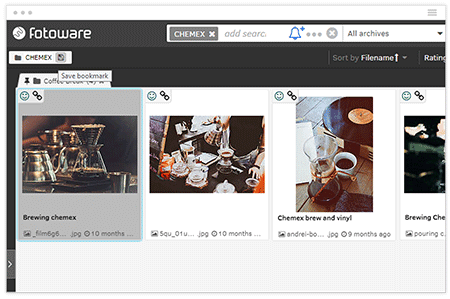 Look for any information in any filetype and archive - using one single search. 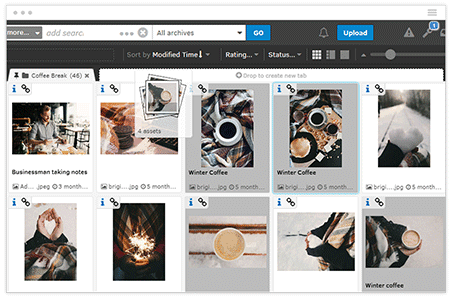 Filenames are great, but We ❤️ Metadata! 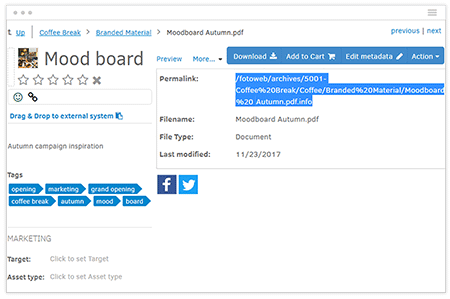 Import your existing folder structure or start afresh - in any case, your users will feel at home with assets organized in folders enhanced by powerful search. 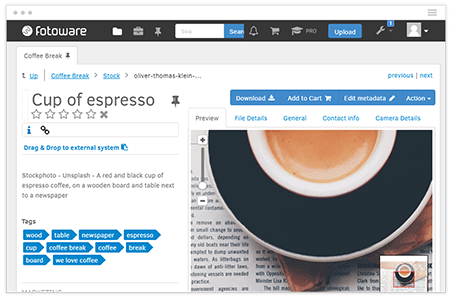 Powerful taxonomies make it easy for users to find what they need based on multiple filters and help ensure quick and consistent tagging. 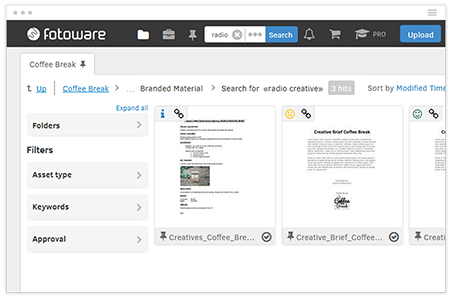 SmartFolders are like virtual folders that give hits based on the search criteria that you add to each folder. 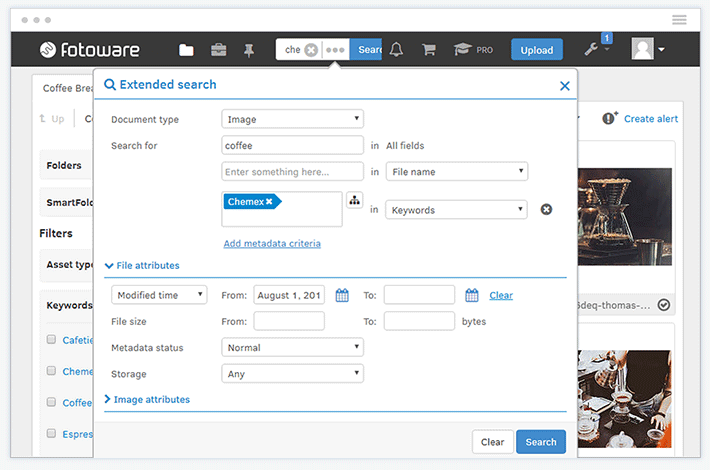 Combine different search terms, such as time frames or asset owner, and get instant results. 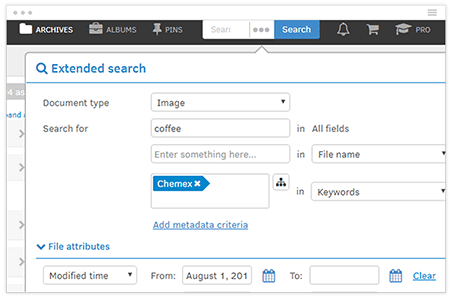 Versatile search that helps you find what you're looking for - search in metadata or use file properties and file type data to narrow down your results. 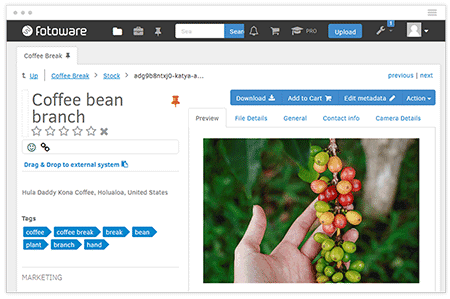 Build custom metadata schemas to describe your assets or use the extensive built-in XMP, IPTC, and EXIF fields that come as standard. 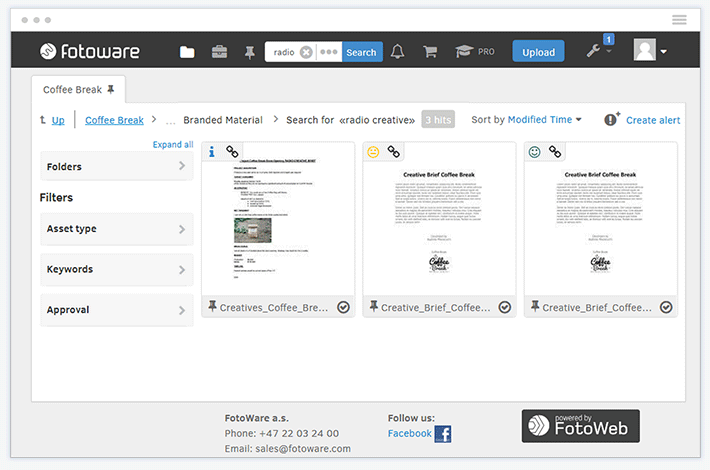 Text inside PDFs, Office documents and vector graphics files is fully searchable. 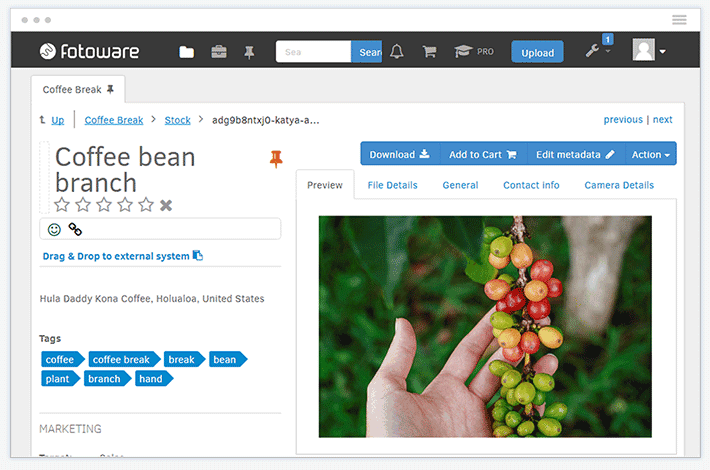 Easily embed photos in WordPress, Joomla, eZ Publishing, EPiServer, and any other CMS, applying simple enhancements and setting publication and expiry date. 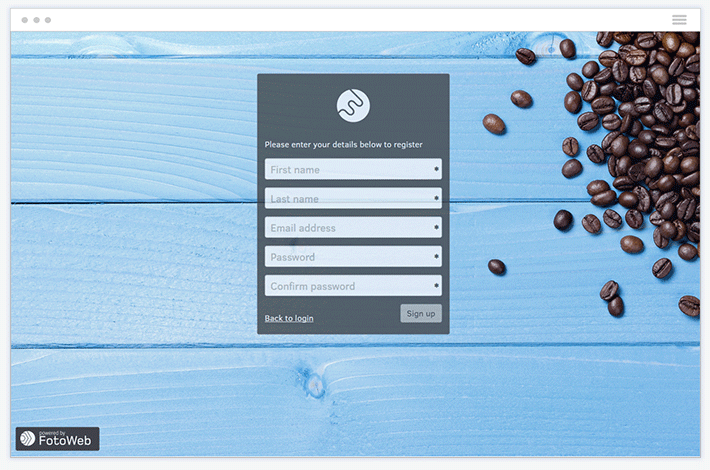 Drag and drop renditions from the browser into any other application. 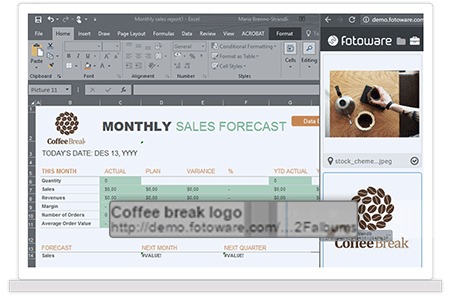 FotoWeb resizes the photos to avoid bloated documents and ensures images are in the right color space and of optimal quality. 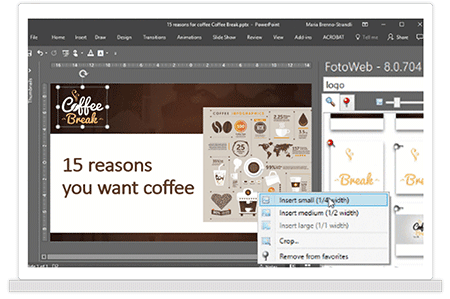 All your employees can insert images and graphics in a suitable resolution directly into their presentation. 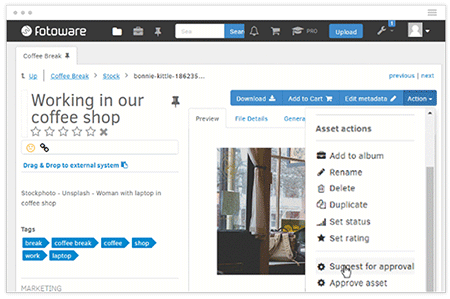 Our plugin also makes sure only approved, and correctly licensed assets are used. 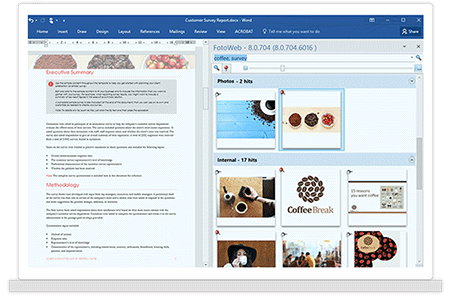 Enable your team to quickly add images and graphics to their documents and reports. 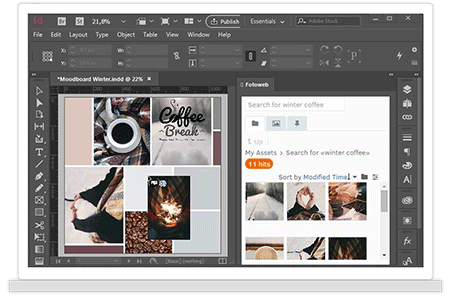 Our plugin makes inserting assets in the right resolution easy, and ensures only approved and correctly licensed assets are available. 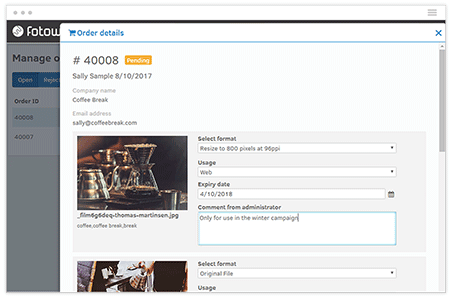 Use high-resolution originals or request on-the-fly conversions when placing your files in brochures, books and other material for print. On the road? 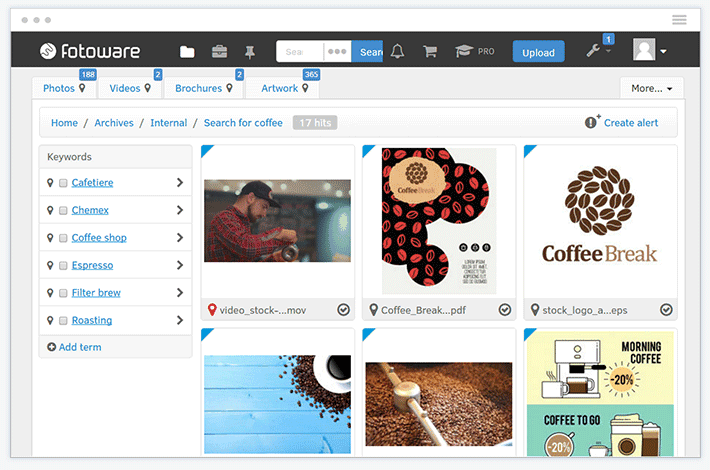 Access, tag and ingest all your files from any device. 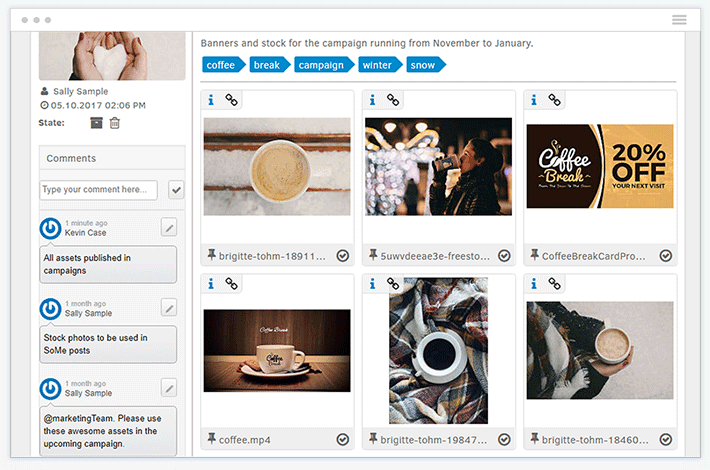 Admins can approve and reject content on demand from their mobile app or specially designed app for iPad. 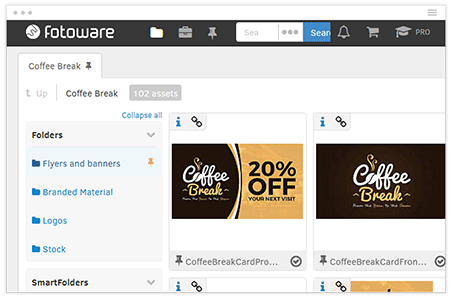 Select assets and add them to a cart, allowing users to check out the assets. 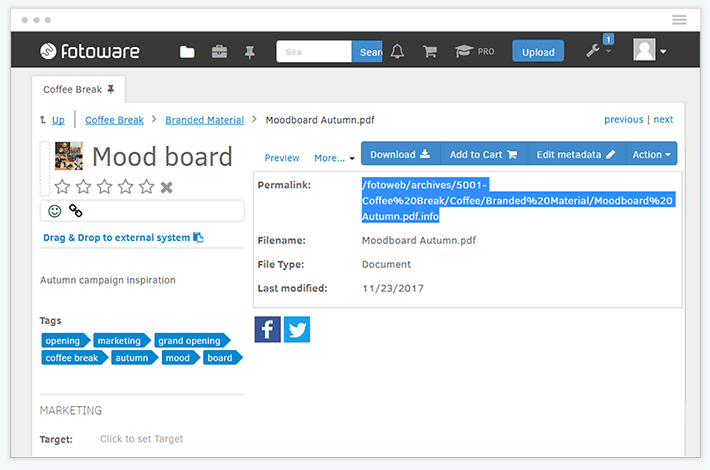 Admins can optionally approve and comment on the order. 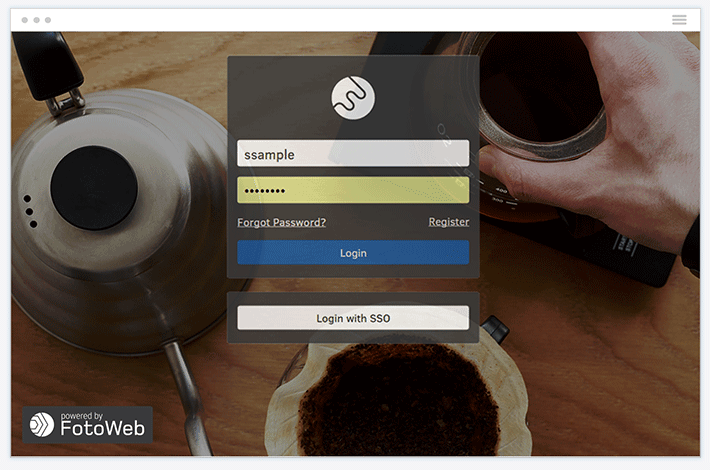 Use webhooks and API support to integrate with other systems, such as payment providers. Doing the same thing over and over? 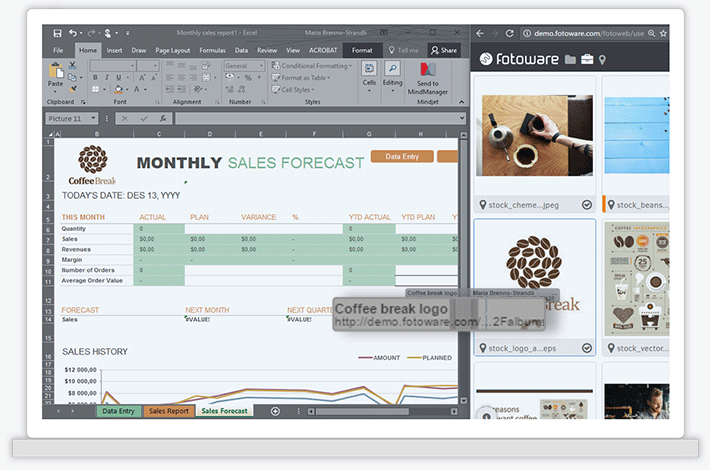 Create actions that automate those processes and enable your team to perform drag-n-drop and one-click operations. 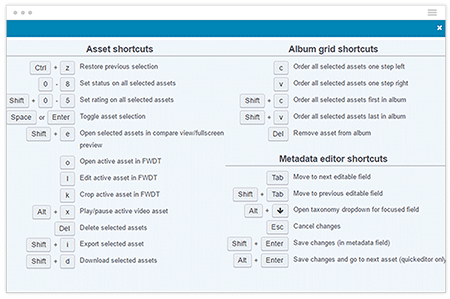 Quickly see how assets may be used based on visual markers. 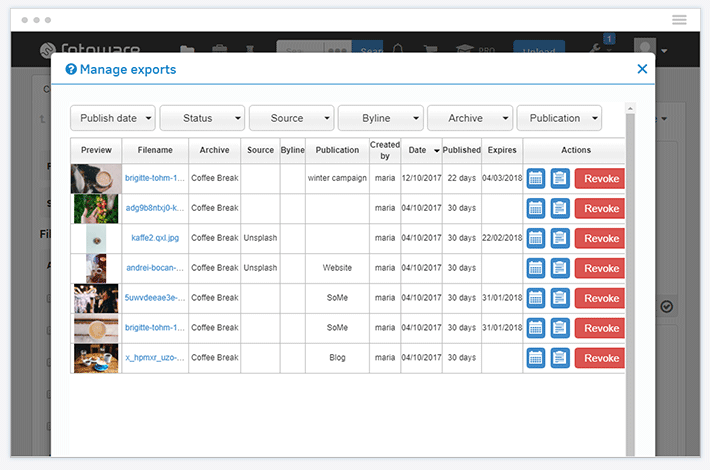 Create clickable, interactive markers to edit the asset’s metadata, trigger a webhook or look up additional asset information in, e.g. a PIM. 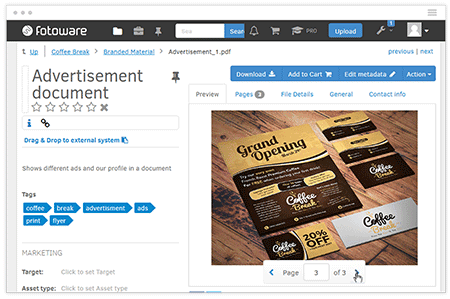 Generate standardized looks, properties, and formats for your assets with predefined profiles or by setting up your custom asset processing specification. 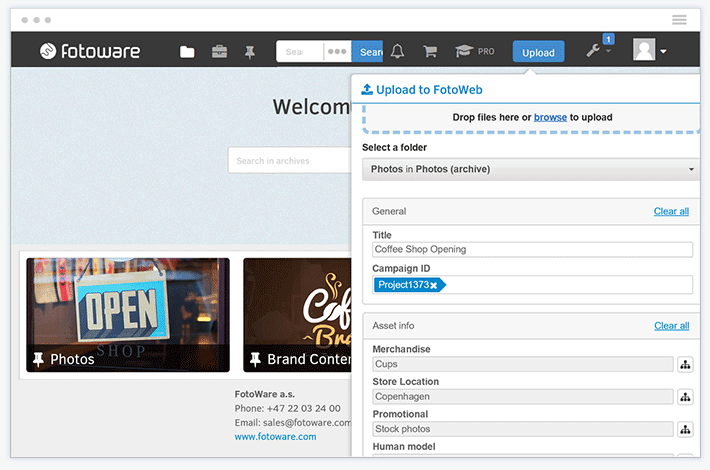 Let FotoWeb push notifications to Zapier and do magic with services such as SalesForce, MailChimp, and Twilio, or use webhooks to push content to Facebook, Twitter, LinkedIn and other social networks. 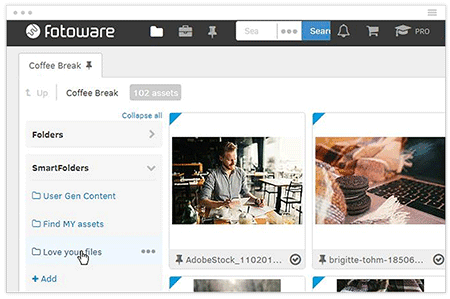 Keep your assets in multiple archives and search across all at once, This will allow you to logically group data for your users. 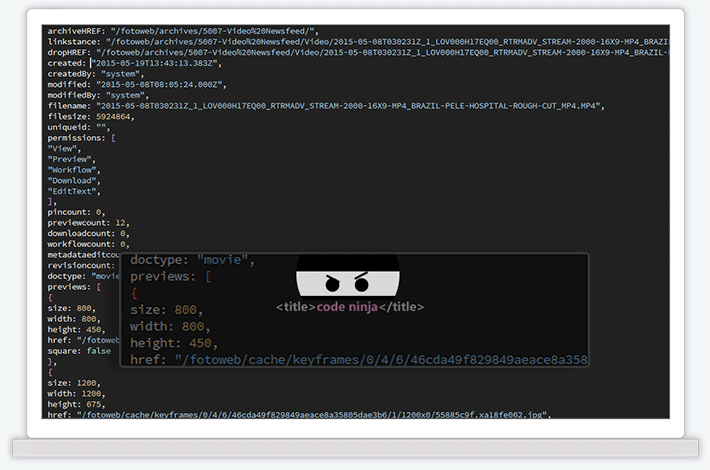 Our RESTful Hypermedia API lets your code ninjas create the integrations of their dreams. 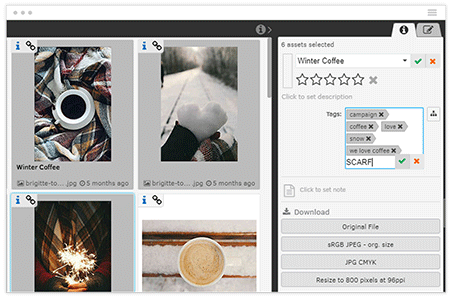 Make selections and add files to albums. 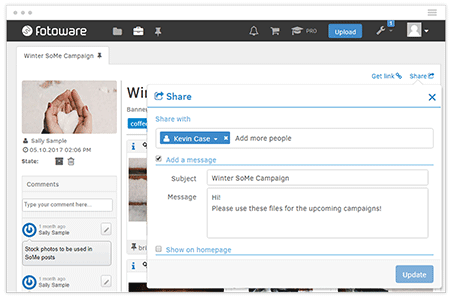 Easily share them with others via email or link, controlling who has the rights to download or preview assets. 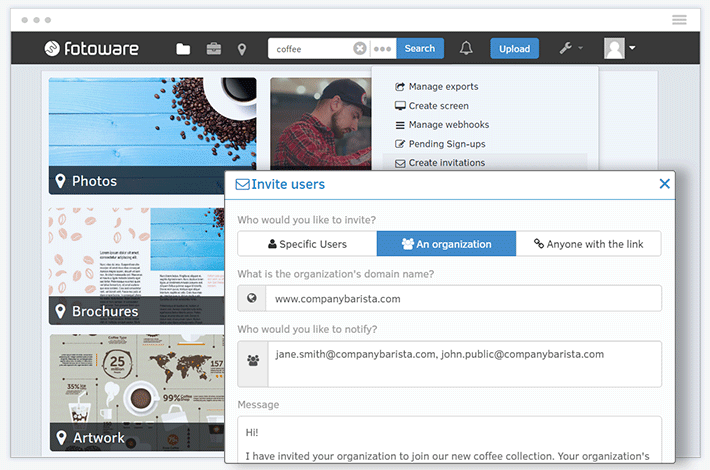 Invite partners and third parties for collaboration in a self-service platform that's intuitive and easy to use. 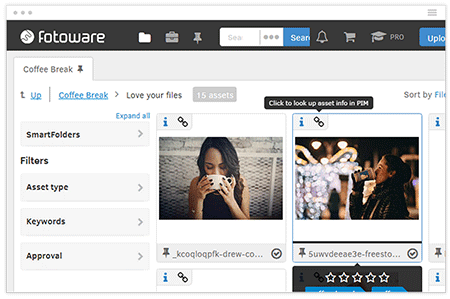 Get a complete overview of the who, what and where regarding the use of all your files. 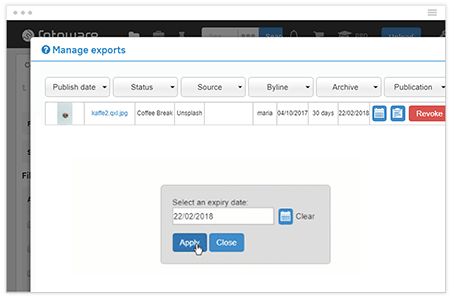 Manage the publication of assets on your CMS - revoke assets on demand or by setting a fixed expiry date. 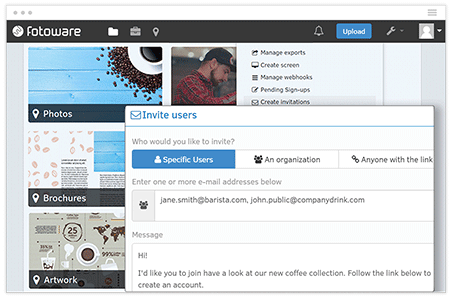 Collaborate effectively with your team by using the integrated comments feature to give immediate feedback. 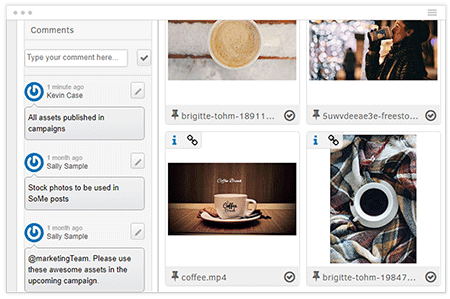 Share content with your team and third parties by sending them permanent links to your assets. 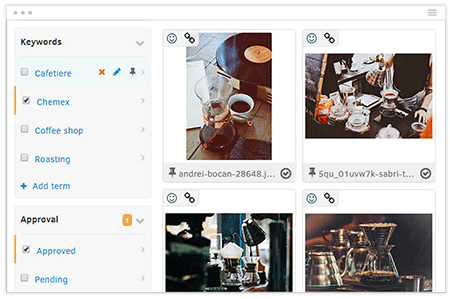 The new annotation tool allows you to add markup, comments and collaborate on-the-fly.Highlight an area in a picture that requires attention and add your comments on how to improve it. 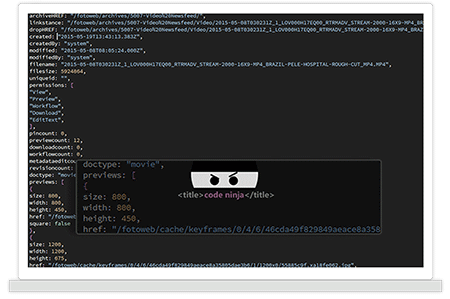 Get close-up details from large image files directly in your browser, all in HTML5 and without downloading the original file. Looking for something specific? 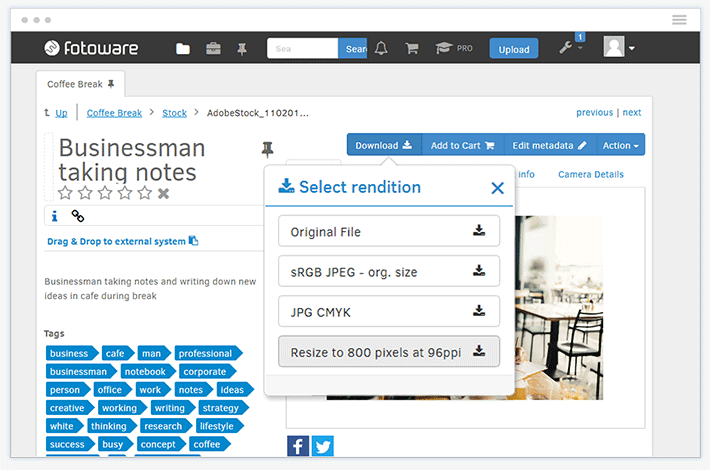 Quickly find any document or PDF, then leaf through their pages to find what you need. Easily review the content of your videos by using keyframe navigation. 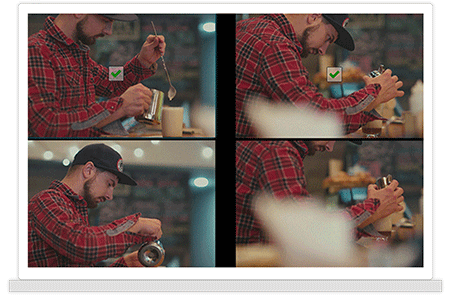 Clicking a keyframe takes you directly to that frame in the video. 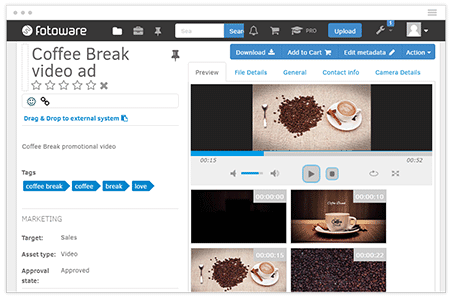 Watch any video format in full screen with full navigation capabilities including playback speed, frame skipping, download of still frames, reverse playback, color filters and more. Some features only available with the optional AV module. 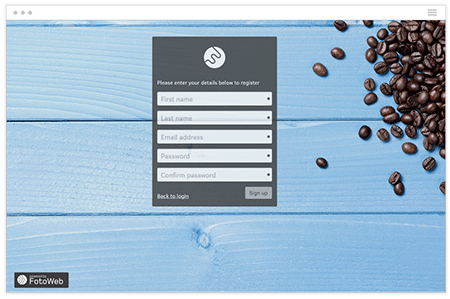 Self-service saves you a lot of time by letting users sign up and be automatically approved. You can, of course, enable manual approval for greater control. 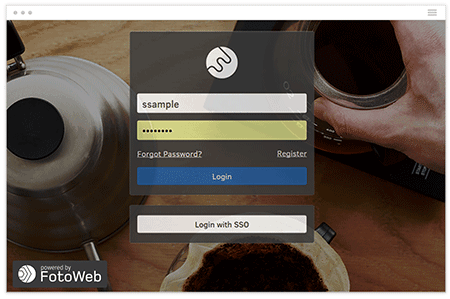 Forget passwords or user logins - use SSO to manage access and leverage the convenience of automatic login. 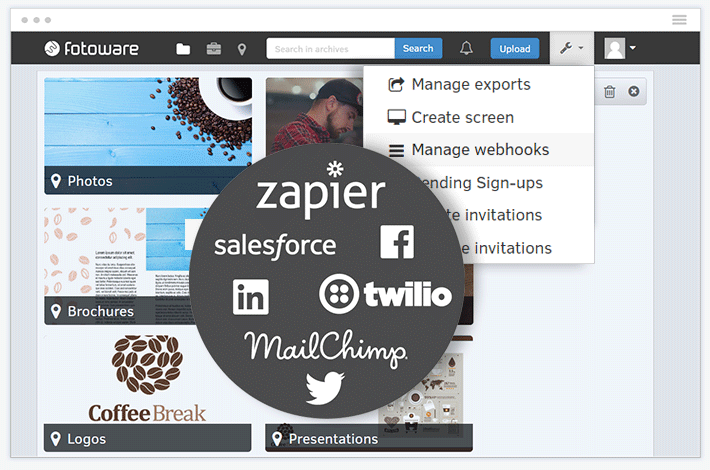 Manage users and groups easily from the Tools menu. 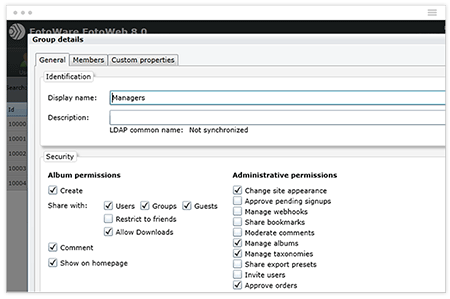 All editors can easily invite new users and assign them to groups with the correct permissions. 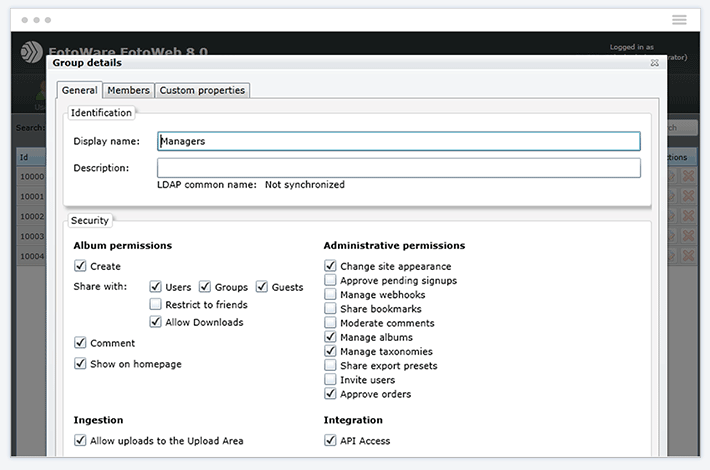 Admins can easily configure the system for an optimized user experience. No programming is necessary – it’s all checkboxes. 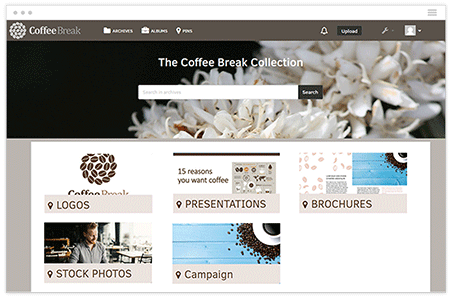 We give you the most effective tools for culling large collections of pictures with flexible selection tools and efficient workflows. 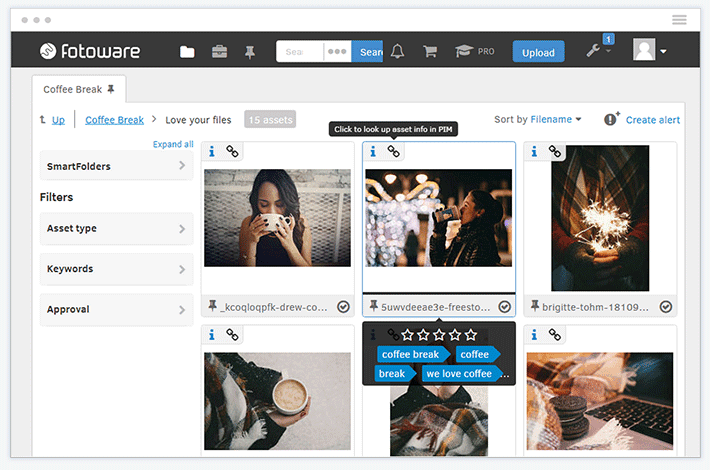 Our full-screen image comparison tool shows every picture with crisp and sharp detail. 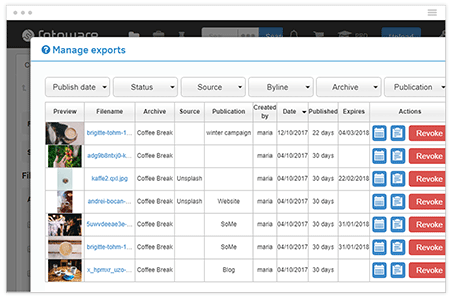 Select multiple files and add, remove or edit any piece of metadata one-by-one or in batch. 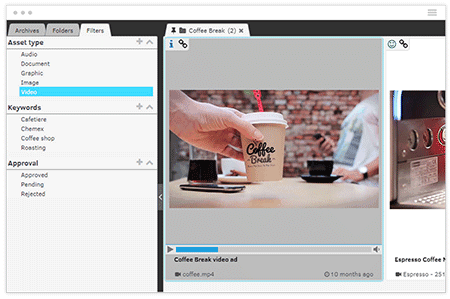 There is no faster metadata editing tool on the market. Don't repeat yourself. 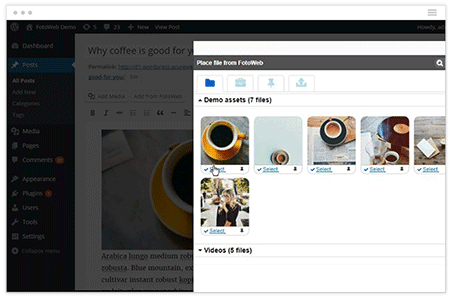 Create bookmarks with searches you often perform or pin a result, so it opens each time you log in. 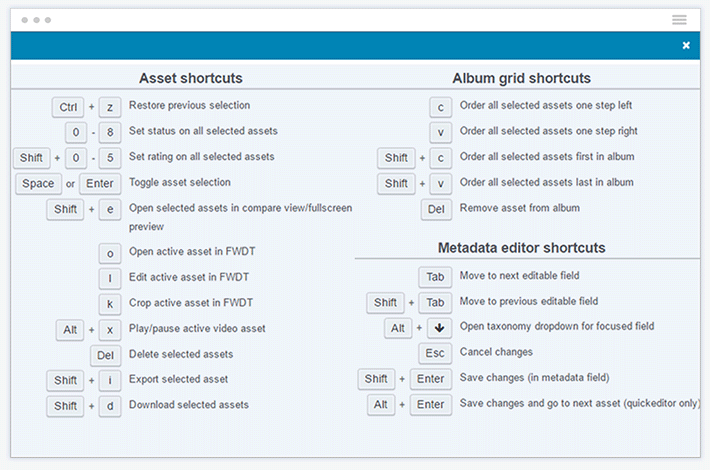 With the keyboard shortcuts, you can manage, organize and edit your assets at the highest speed possible. 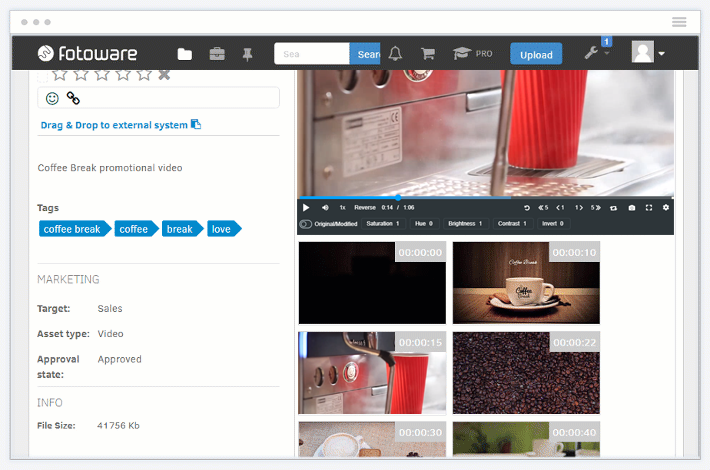 Quickly get an overview of video content with previews directly available in your search results and options to adjust playback speed for rapid playback of long sequences. Sign up in 10 min and get running in full speed in less than a day. This is your reconfigured SaaS. It is the perfect solution for all of you that need to save time for the important things that matter to you. 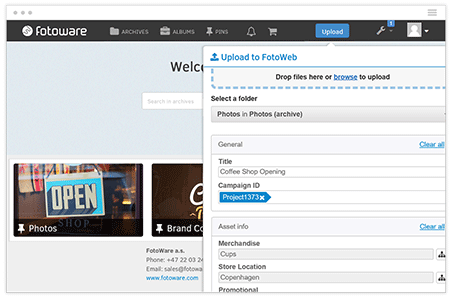 Login to your Azure account or sign up in 10 minutes to access the full power of FotoWeb in the cloud. 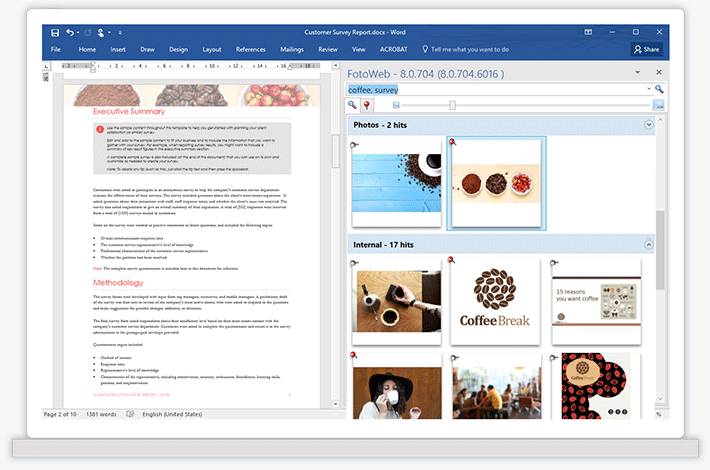 Your files are safely stored on the Azure cloud and you can connect your system to anything. 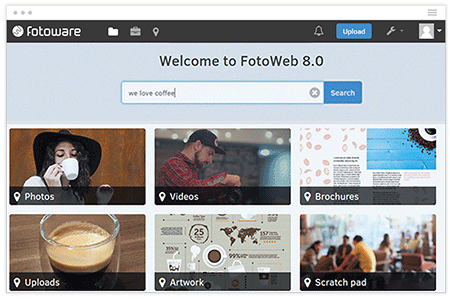 Login to your AWS account or sign up in 10 minutes to access the full power of FotoWeb in the cloud. 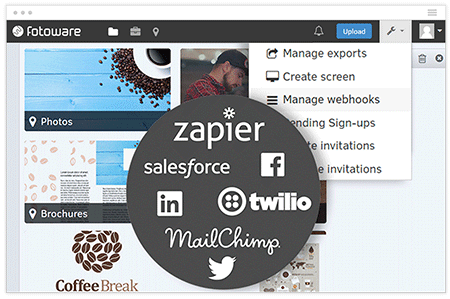 Your files are safely stored on the Amazon cloud and you can connect your system to anything. 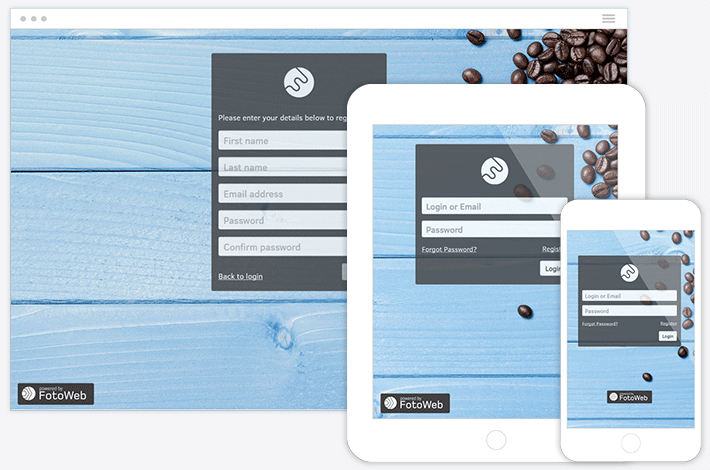 With 20 years of experience we can guarantee to deliver you a secure and stable server solution. 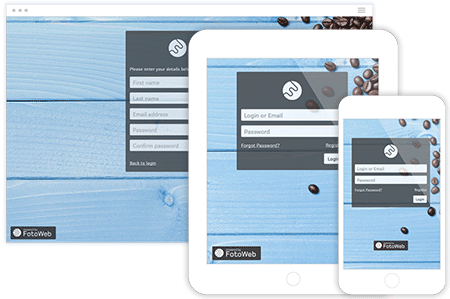 Our local team of Certified partners can tailor your FotoWare experience to your needs.